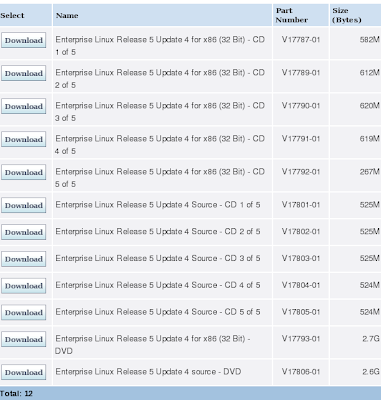 You can download OEL 5.4 from edelivery.oracle.com, which is a "clone" of RHEL 5.4. Comparing OEL and "CentOS", which is another clone of RHEL, OEL is better when we just want to test Oracle installation with RHEL clone Linux. There is a public yum server created for OEL by Oracle, but currently YUM repository for OEL 5.4 is still not avaliable yet, but coming soon.